Obviously, the vast majority of the time I have utilized my blog has been to help share and promote thoughts about teaching, coaching, motivation and team development among other things. But I find myself needing to share some thoughts as to where I believe we are as a nation as well as where I believe we are heading. There is so much going on in the world these days, particularly in our own country. Now I tend to look at everything as a coach. I realize this may not be the best way -- you know, if you are a hammer, you look at everything as if it were a nail. But I do like imagining the United States of America as a team. There was a nice little video floating around on Facebook this week titled "We are not labels." And while that is certainly the ideal, a noble goal to strive for, I believe it is the furthest thing from the truth today. I believe we are all labels. Some of those labels are given out to us from others -- earned or not, true or false. Some are self-proclaimed that we have pinned on ourselves. We are no longer Americans. We are Democrats or Republicans...we are African-American, Caucasian, Mexican...we are male or female...straight or gay...we are Christians, Jewish, Catholic, Muslim...we are gun-owners or for gun control...rich or poor...the list is endless. And in our world these days -- there are no gray lines. You are either for us or against us! And we are in the business of persecuting anyone that doesn't believe exactly what we believe. We are about finger-pointing. 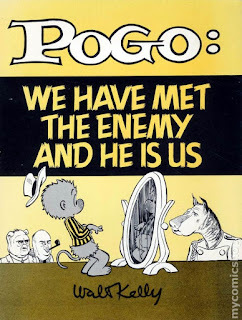 It is never our fault -- it is always the other guy -- the other label. By far, my biggest concern is that we try to create levels for our labels. The value of one label is more than that of another. We use that mindset to justify our language and our actions. And we not only damaging our futures and those of the next generation but it's led to the senseless loss of human life far too many times. Everyone that knows me would label me as optimistic. Having said that, it is becoming increasingly difficult for me to remain that way -- it's a battle these days. The thing that scares me the most is the further down this road we head, the more difficult it will be to reverse direction or chart a new course that can unite us all. Please understand that acknowledgment does not equate to accountability. It is not enough to simply point out what we have said or done. As Webster points out, we must have a "willingness to accept responsibility." Nor should we view accountability as punitive. The bottom line is we live in a society now that rarely holds themselves and their own organizations accountable though we are quick to try and help and hold the other side accountable. Nowhere is this more prevalent then in social media. We fill our Facebook page and spew out tweets about "the other side." We copy and past any article or video that can lay blame to "the other side." And we do this with vengeance! WE TYPE IN BOLD...ALL CAPS FOLLOWED BY NUMEROUS EXCLAMATION POINTS!!!!! My side is right -- your side is wrong. We are no longer seekers of truth but searchers of verification. We will copy and past or repeat anything from anyone that shares our same opinion as if that will tell the world, "See, I told you -- I am right!" It doesn't matter if the material is falsely fabricated. There is far more incorrect information on our social media pages than the truth. So much that it is hard to know when we have stumbled upon the truth. It's reminiscent of the State Farm commercial about the young lady who just knew her blind date was an attractive French model simply because it said so on the Internet -- "bonjour." It is magnified these days through our political beliefs. Politicians spend the large majority of their speeches and commercials tearing down their opponent both personally and professionally as opposed to giving us detailed, well-orchestrated solutions to areas of importance to us. And the tone is frightening. It actually starts in the primaries with a canabalistic approach where each party attacks their own until they can come up with one gladiator to go destroy the other side. And these are leaders! So what do we do as followers? We throw gas on these fires and fan the flames further. It went along with open mindedness. Down the drain with cooperation. Out the door with common ground solutions. We'd rather let the house burn down than help the other side put out the fire. We'd rather die in the blaze then allow the other side to help. We will not even acknowledge that the other side has a good idea because we think it shows a sign of weakness. 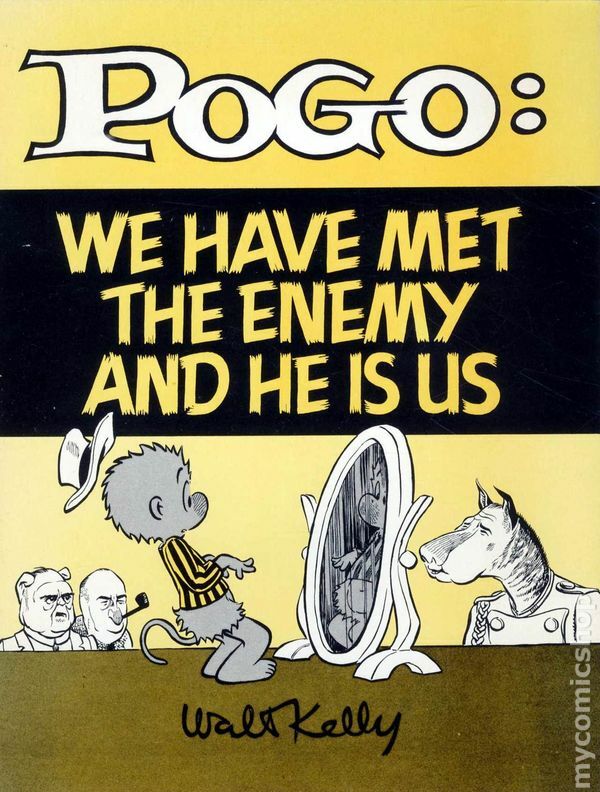 We have become unable to take a hard look in the mirror and realize that the Pogo cartoon from the 70's is even more true today. We as a people have painted ourselves into a corner to promote our labels in such a way that we cannot abandon our comfort zone and try to meet in the middle to work towards solutions. Accountability requires responsibility, but when achieved by teams (groups) it can create something special. It's critical however, that we know that all must be held accountable. Citizens, police officers, politicians, coaches -- all of us! The position we hold, no matter how it is viewed in importance, cannot be given immunity to doing the right thing for the right reason. And that's regardless of intent. Certainly, intentional actions by people must have accountability. But people that accidentally make mistakes must also be held accountable -- how else can mistakes be corrected. "Most of us enter a potential team situation cautious; ingrained individualism discourages us from putting our fates in the hands of others. Teams do not succeed by ignoring or wishing away such behavior. Mutual promises and accountability cannot be coerced any more than people can be made to trust one another. Nevertheless, mutual accountability does tend to grow as a natural counterpart to the development of team purpose, performance goals, and approach." We cannot move in a positive direction as a society without accountability. This is a non-negotiable. The problem is what do. And it has become a huge problem for me. I don't like feeling helpless. The other night well after midnight I was speaking with Temeka Johnson who was in Israel doing clinics for the NBA. It was morning over there and we were both airing out our frustrations as to what we can do to make a difference -- enact change. For me it goes back to my days of working for Dale Brown who would tell us "don't come in here and complain about a problem unless you have a solution." And he's absolutely right. As Edmund Burke wrote: "All that is necessary for the triumph of evil is that good men do nothing." I once read that hypocrisy exists in the space between language and action. And we have a lot of us -- if not all of us, sitting around and complaining about issues that will seriously effect so many for so long and yet do nothing. I do believe that it starts within the heart of each of us. As my friend and mentor Don Meyer would say, "Each player has to be his own captain." And I honestly believe we want change. No one can be happy about the senseless violence that fills our streets. The loss of life of so many innocent people -- in schools, movie theaters, clubs, and neighborhoods. 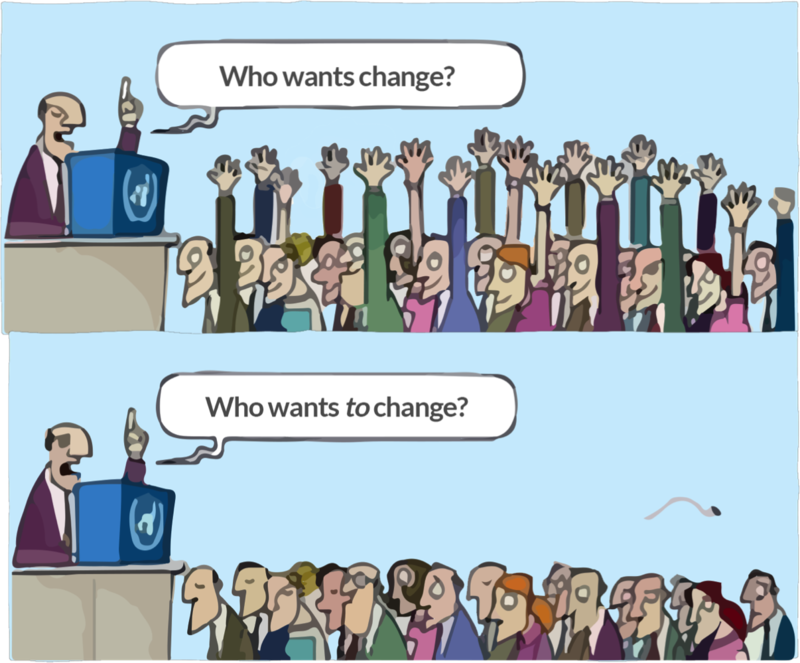 Certainly we want that to change. We want to be safe when we leave our homes. We want our loved ones to be safe. But the major problem is no one is willing to come together and find solutions. Practically no one is willing to even consider leaving their comfort zone to explore an idea other than their own -- especially one from that other side. 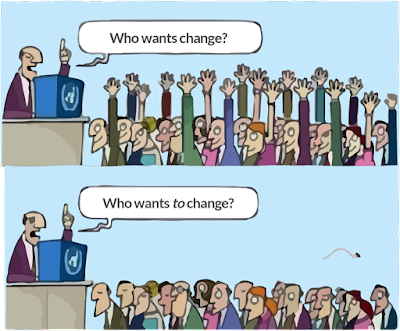 The cartoon below states our biggest problem -- we all want change but we ourselves are not willing to change. I have a sneaking suspicion that if the Framers of the Constitution could return today -- and see all of the advancements and complexities of our world they'd say, "We're going to need to make a few adjustments!" It must, without question, start with each of us looking inside. I understand that can be frightening. Self-accountability takes courage. We're worried what we might find. As Theodore Roosevelt said, "If you could kick the person in the pants responsible for most of your trouble, you wouldn't be able to sit for a month." So I find myself looking for a path to take that can make a difference. I realize it probably won't be a big difference but if the vast majority of us committed to looking deep inside and admitting that just maybe there is a better way that we should at least try what we can to start towards a better life. And the first thing I want to change is my ability to listen. Stephen Covey says that "Most people do not listen with the intent to understand; they listen with the intent to reply." I firmly believe this but I also think we often listen to hear only what we want to hear. Again, we want to hear verification to what we already believe to be true. And of course, anything from the "other side" surely must be wrong. Ignoring: not really listening at all. Pretending: humming along while not really following. Selective listening: hearing what you want to hear. Attentive listening: paying attention to the words. My goal from this point on is to work hard to concentrate on empathic listening. To try and not judge what others are saying but to attempt to understand why they may feel the way they feel in communicating the message. It doesn't mean that I have to agree but maybe listening at this level I can at times see things differently -- even be persuaded that another way may be better than my own. Listening -- empathic listening promotes the highest form of communication. And as Covey said, "Communication is the most important skill in life." He's not referring to someone constantly talking either. And communication -- as it is meant to be in its purest form -- is almost non-existent today. It doesn't seem like a lot but it's a start. Sometimes when there are big problems we want big, quick solutions. There are no short-term fixes for where we find our nation. I continue to be worried that leadership is becoming less effective because of "sides." I am neither a Democrat nor a Republican but an Independent. In my lifetime I have voted equally for Presidents from both parties. It is my opinion that each one that's held office has tried to make a positive difference in our nation. I haven't always agreed with the stances they have held but have always respected their positions and unbelievable responsibility they have before them. It is amazing that a man can hold office in the White House and be considered one of the greatest President's of our time by one side and the absolute worse by the other side (and that's not just with our current President). We should think about that for a minute. And unfortunately that will be true with the next person to lead our nation...and the next...and the next. Certainly we need to agree to some standards and values. This doesn't need to be a long, laundry list but some basic core principles. And there should be nothing more important than the way we treat each other. We should be striving for an environment of equality. We should fight for the rights of all to have the same opportunities. And we should vow to do this even if others don't. "Why should I if they don't" is not a viable argument. We must become the solution and not part of the problem. And step one is to first admit that a lack of equality does indeed exist -- on so many levels. We must work hard on a personal level to make sure we "do unto others as we'd have them do unto us." And we must not stand by idly while others don't live by the Golden Rule. I'm looking for others way to try and make a difference and possibly will keep you posted. It needs to be a daily objective. Again with wisdom for us all from Coach Meyer, "Do the next right thing right." But understand this -- the next right thing might not be something from your side -- it may be from the other side. Until we can truly open our eyes and see beyond are own wants and needs, we are going to continue in this direction. And make no mistake -- it is a direction. I often tell our players that their skill set is a directional and measurable. They are either getting better or getting worse based on their commitment and effort. As a player, you never remain the same. The same can be said of our nation. thinking we used when we created them." 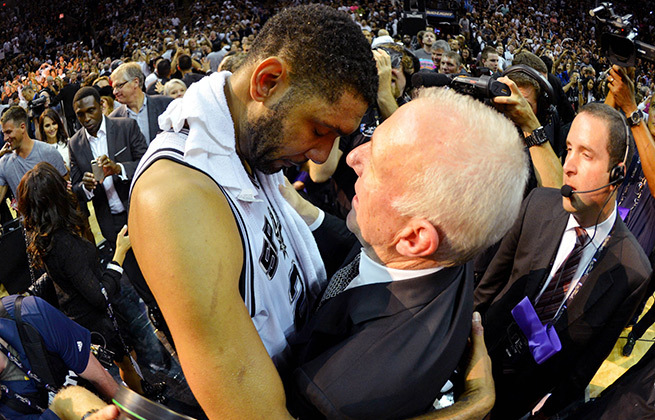 I saw these series of quotes from Coach Gregg Popovich regarding Tim Duncan and thought it summed up the San Antonio culture and why they were able to win at such a high level for such an extended period of time. 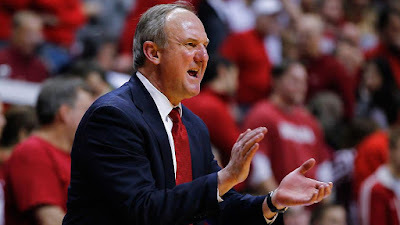 “There are a lot of guys and teams in this league that I couldn’t walk in the gym and try to coach them, because I’m going to be too direct, and that’s what we believe. If you did poorly, we’re going to tell you. If you did well, we’re going to tell you. If Timmy (Duncan) isn’t rebounding, I’m going to get on him just like the 11th or 12th guy on the team. There are a lot of stars out there who can’t handle that. They don’t want to be criticized at all. But Tim’s comfortable enough in his own skin to know that I’m gonna tell him right between the eye’s what’s going on. Bregman, a nonroster invitee, added 20 pounds in an offseason when he and his longtime hitting coach, Jason Columbus, split home plate in half. The focus was twofold for a right-handed hitter who had yet to showcase the power major league evaluators knew was present. 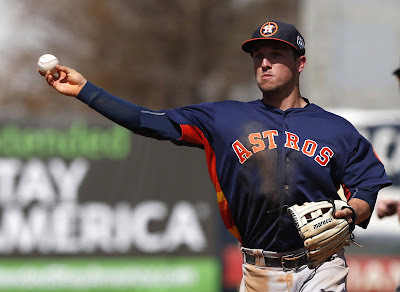 Bregman concentrated on fastballs that tailed in on the inner half of the plate. He’d grown accustomed to rolling over them for grounders to the left side. Columbus emphasized line drives, lifting to the opposite field. “The human condition is to survive. It’s not to win the championship. It’s not to be the best you can be. It’s to survive. … So when you tell me I’ve got to sell this many cars this month and that’s my quota — well, when I sell that many cars I’m ready for a couple of days off and go sit in my chair and, you know, eat Tostitos and cheese. I’m not trying to set the world record. Rule: Deep man never leaves paint until post comes to release. TP: Don’t allow ball to get to the shot pocket when defending a shooter. TP: if you are late fronting, don’t front. TP: Must start when the ball is in the air. TP: On ball screen you don’t have a man. Want defender on screener to recover (through to ally) between the ball defender and screener. Vs. Shooter, OSU exaggerates denial- force back out. In transition defense, OSU teaches to run the lane- vs. shooter, run to the shooter. 5th Defender Principle: Defender whose man is out of the play-your goal is to mess up the play. Switch with teammates of equal or near-equal size on screens and crosses. Switch to keep big players inside and small players outside on screens. Do this on changes and crosses away from the ball when possible, and on matching up in transition defense, as well as in recovering on rotations. Any communication that can allow a switch to accommodate the big in-little out concept is usually worthwhile. Switch within fifteen feet of the goal. Use the “emergency switch rule.” That is, switch whenever a situation arises in which a switch will challenge an open shot, regardless of the mismatch as X2 does for X5 in D-60. BE COMMITTED TO YOUR ACADEMICS – Know your catalog … make a plan … get a degree. Go to class every day. Be on time. Sit up front. Take good notes. Do all extra work possible. Plan ahead and talk to professor when we travel or you are having a problem. Get tutors when you need them. BE COMMITTED TO HAVING CLASS – Treat teachers, trainers, support staff, chapel workers, Marriott workers, and all you meet with respect. Treat other people the way you want to be treated. Moody people are rude. Remember to smile, to say please, thank you, yes sir, and yes ma’am, and give people the benefit of the doubt. BE COMMITTED TO DOING THE RIGHT THING – We have plenty of school rules … know them. Realize if you just try to do the right thing you will be OK. Try to do the next right thing right and you are as close to perfect as any person can be. BE COMMITTED TO THE PROGRAM – We realize that our players are in a fish bowl at lipscomb. Every word and action will be watched. Our program’s reputation provides many opportunities yet brings many responsibilities. We must be committed to build on to the tradition of our program and respect those that have gone before us and paid the, price to build the program. BE COMMITTED TO HARD WORK – Our program is built on the concept that hard work pays off. We believe that we work harder than anyone else … and because of that we always deserve to win. There is a reason we are the best … we work at it. BE COMMITTED TO BECOMING A SMART PLAYER – Our players must be ready to learn. We believe we work smarter than anyone else … We must develop players who understand the game. Our players must be good listeners andlearn by watching. We must make good decisions, we must play with poise. We prepare mentally for practice and games. BE COMMITTED TO OUR TEAM ATTITUDE CONCEPT – We must have players who believe in our team concept. Our program is built on the concept that the team/program is bigger than anyone player … We need unselfish players. COMMIT YOURSELF TO A WINNING ATTITUDE – Our players must be-committed to winning but understand we don’t measure our success by winning alone. Each time we play we evaluate ourselves on reaching our potential. 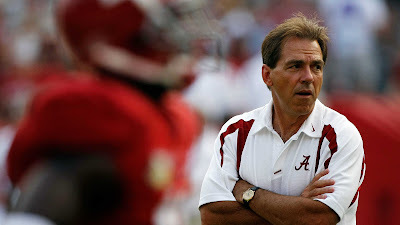 The test for our team is to play against the game not just our opponent. We never quit. We always are looking for a way to win. BELIEVE IN OUR SYSTEM – commit yourself to our philosophy, to our system of play. Be a sponge and soak up the con cepts of how we play. learn your role … then accept your role and do it the best you can. 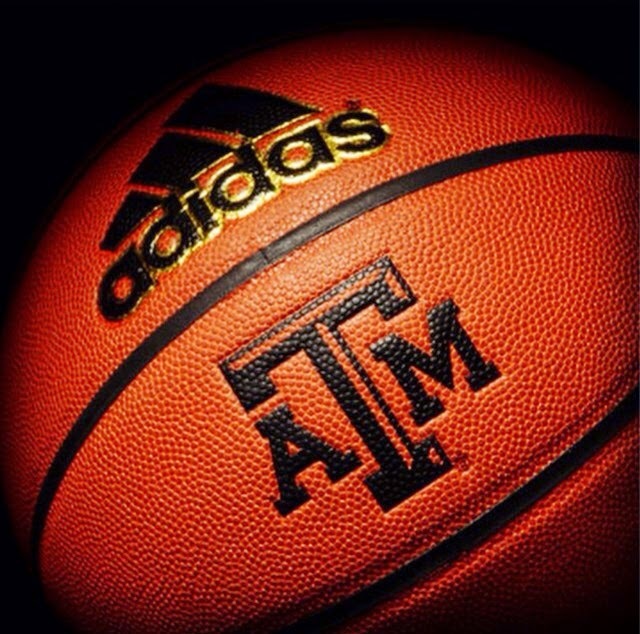 BELIEVE IN YOURSELF – Play with confidence … think positive … realize you are a great player in a great program. 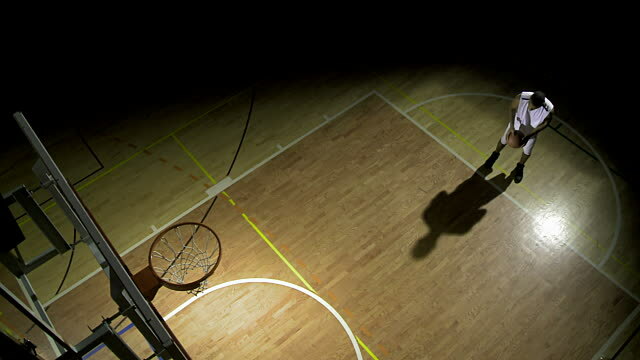 Don’t get down when you play poorly … you were chosen to be here … be a leader. lead by example. BELIEVE IN YOUR TEAMMATES – Communicate with each other … help each other. Remember the strength of the pack is the wolf and the strength of the wolf is the pack. Encourage each other and support each other. Don’t ever forget the importance of the shell around the team. Be a friend. We understand that we are all different – be tolerant of team mates and others. 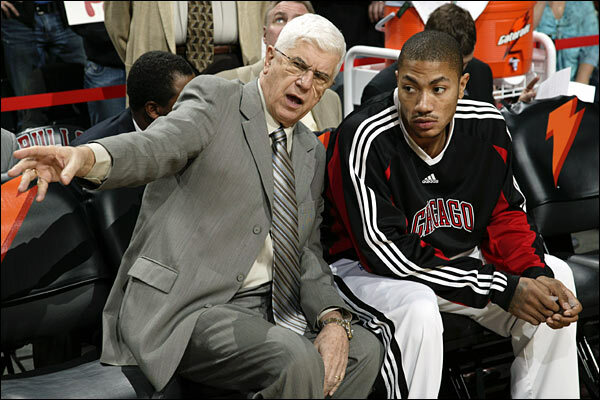 BELIEVE IN YOUR COACHES – Understand that your coaches are trying to help make you better people and players. Ask questions … don’t whine and complain. 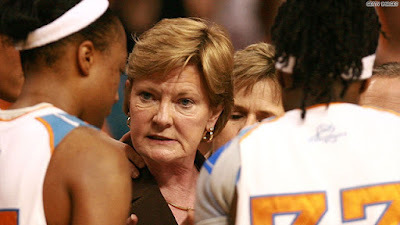 learn to take tough coaching.You must believe that the coaches are doing what they think is right for the team and you. he would do if he knew he would never be found out." What I say it, "You identify yourself by what you do when no one is watching. The supervised athlete may be the hardest worker, the most selfless and responsible competitor. But how he practices when no one sees him, how he interacts with teammates when the coach is not within listening distance -- that's when he defines himself. Theodore Roosevelt extended the definition to self-awareness and independent self-evaluation, saying, "I don't care very much about what I think of what I do. That is character!"